Happy weekend friends! Hope everyone is having a great one! We lucked out a few days this weekend and last week with some pretty awesome, almost fall-like weather, and we made sure to spend most of our time outside with the pups. Northeast summers are always my favorite, so I’m very happy that we were able to spend a little bit of time here, seeing family and friends, before heading back to Florida for a bit! As you might have noticed, I have a special guest appearing in this blog post! (Shout out to Armaan for shooting this in 74 degree weather – it was cooler, but still hot!). 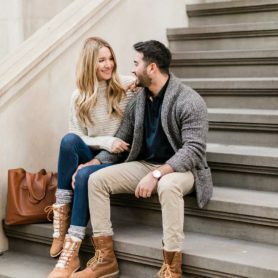 I’m super excited to be partnering with Nordstrom to share our favorite pieces for the guys from the Nordstrom Anniversary Sale, as well as this easy fall mens look. I mean, what better way to distract your husband or significant other from all the bags of your stuff, than with a little something, something for them?! 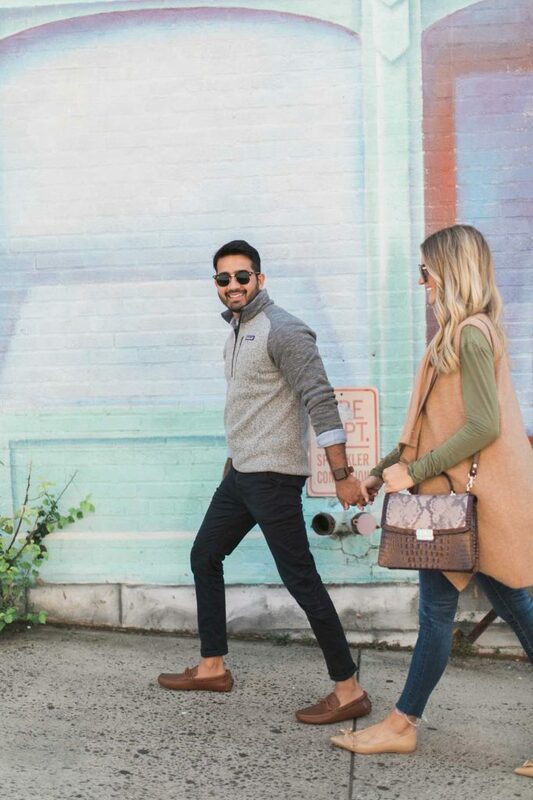 From casual tees and jeans, to everyday work suits – you’ll be sure to score something both you and your man love! 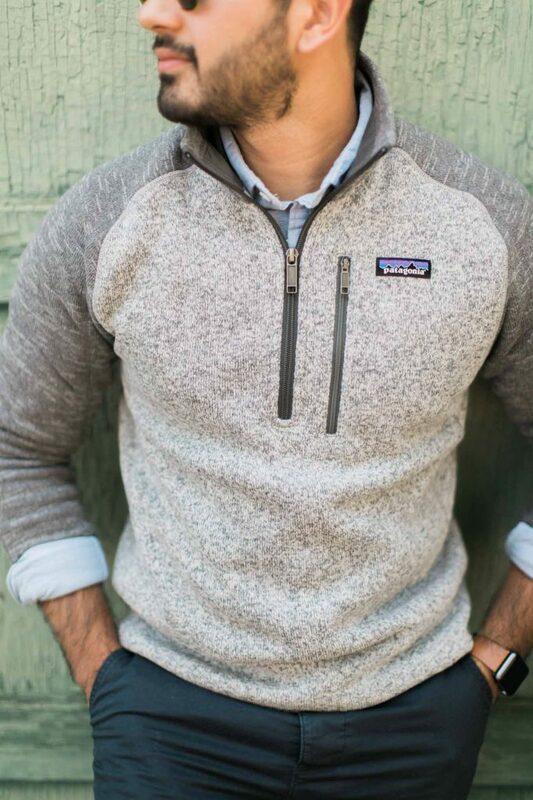 This Patagonia pullover was one of our major scores of the sale; I can already predict stealing it as soon as we get another cool day! 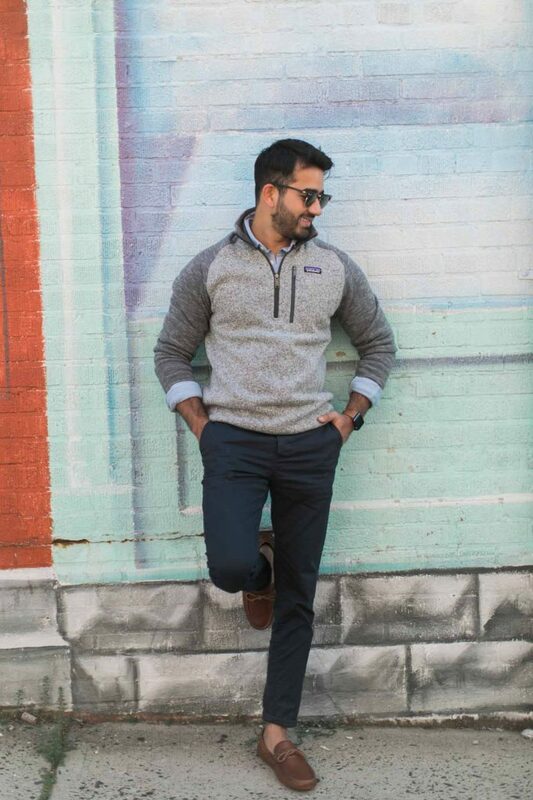 It’s such a versatile piece; you can make it more formal like he did by throwing it on with a button down underneath and these chinos (which are a serious deal) or toss it on with a tee and jeans and sneakers for a casual date night. 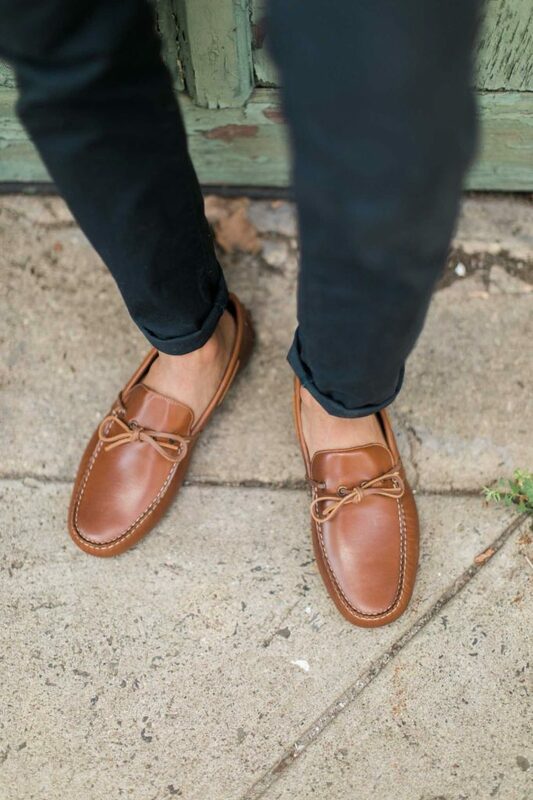 Armaan also stocked up on basic tees, work shirts and shoes (including these amazing loafers under $100!) to wear throughout the whole year, not only in the fall! Also, I have been getting SO many emails and DM’s about wedding photos – and they are coming SOON. Our amazing photographer, Sophie Kaye, shot a lot of our looks with film so we originally were waiting for those to be developed – but in waiting for those we somehow made a promise to half (cough, all, cough) of our family that we would be sure that everyone saw the photos before we shared them online! So, we’re planning on sharing them in a big post in the coming weeks that I literally am giddy about. Stay tuned! 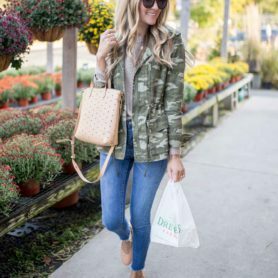 A big thanks to Nordstrom for sponsoring this post! All opinions are my own. I would kill for 70 degree weather! It is crazy hot here in Texas! Great outfits! I wish my boyfriend dressed preppy like this! I love everything about this post!! I love that he did this with you!